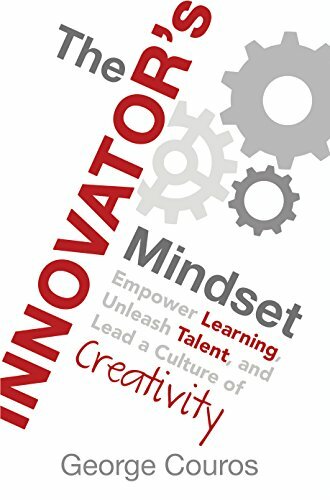 The Innovator's Mindset: Empower Learning, Unleash Talent, and Lead a Culture of Creativity by George Couros (2015) has been sitting on my book shelf ever since I heard George speak at the CUE Conference. (CUE is Computer Using Educators. Yes, the name is lame at this point, but they started over 40 years ago and it made sense back then!). George was so inspirational and motivating that I knew I wanted to read his book. And I did, but only the part that is our first week's assignment. 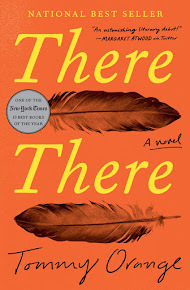 However, as with so many books that I want to read, it has languished on my shelves for a long time. This week we are reading the Forward and Instroduction. Here are the questions. What do you see as the purpose of education? Why might innovation be crucial in education? I have been in education for 23 years now and I think my ideas about its purpose have changed over that time. When I first started as a high school history teacher I was all about content. We history teachers love our content (and rightly so). Shouldn't everyone know details of war, revolution, genocide, and imperialism? It didn't take me all that long to realize that dates and details weren't as important as the why. Why do events take place? What are the consequences of war, revolution, genocide, and imperialism? And over these 23 years the internet has taken over; the what and the why is at our fingertips. Now I am out of the classroom as a Social Studies Coach and a Technology Integration Coach and our job is to teach skills. I am actually okay with this and find this new emphasis matches up a bit with the LA Times article we read. I don't think the diplomas and degrees are a waste of time, but I do think we need to send our students out in the world capable of critical thinking, analysis, synthesis, and the 21st century skills of collaboration, creativity, and communication. Innovation plays an important role in all of this. If we continue to do the same old, same old, we'll produce the same old, same old. We need teachers who are willing to take risks and fail in their lessons, who will build relationships with their students to show them that they matter, and we need to ensure that we instill curiosity in our students. Change is so difficult for many of us. It is comfortable to do things the way we always have; it's less work that way, too. I haven't really had that mindset during my education career. Though I was in the classroom for 14 years, every few years I added a new class to keep things interesting. I became a high school Librarian for 4 years, then a tech coach, and now my current position. Change keeps me interested and excited about my job. In my jobs as a social studies and technology integration coach I definitely see how difficult change is for teachers. Change is scary because we might not be good at it, it might not work, and it might be difficult. But if you don't try something new, you'll never attain greatness. You never know what you might discover if you take a chance and try something different.